This Linen Table Skirt Reinvents Trade Show Booths! Add Covers, Overlays, or Tablecloths with Custom Printing for Even More Exposure! 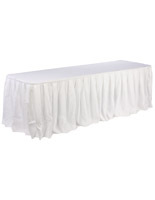 Use this Table Skirt to Decorate for an Upcoming Banquet! 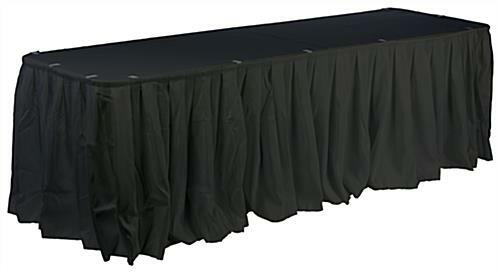 10' long table cover fits a 6-foot or 8-foot table. Comes with (10) clips for attaching table skirts to various tables. 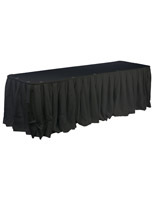 Includes skirt with box pleated design to make your table look presentable. This linen tablecloth, table skirt is an impressive way to spruce up your old registration folding table. 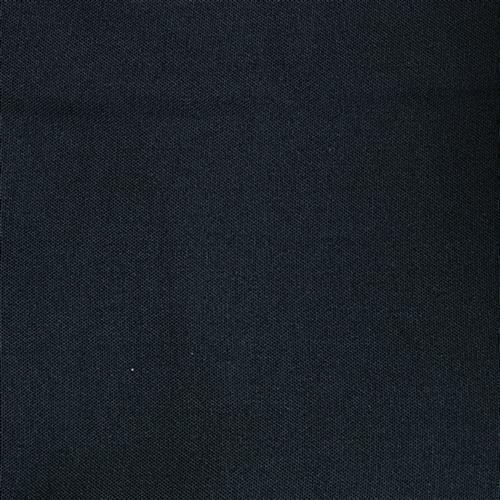 Sold in a sleek black color, this cover will grab the attention of bystanders in every direction. Fabricated from 100 percent polyester fabric, this table skirt is both durable and reusable. The throw is also machine-washable and wrinkle-resistant for use during future banquet events or functions. This table skirt, also known as a linen throw, consists of a table topper, skirting, and clips. By incorporating the all the components in one convenient package, our company has taken the guesswork out of uniform displays. The 10 foot long table topper is designed to cover only the top portion of a 6' or 8' long surface, so the table skirt can be attached. Don't forget to conceal the legs or items stored beneath the table with the box pleated linen. 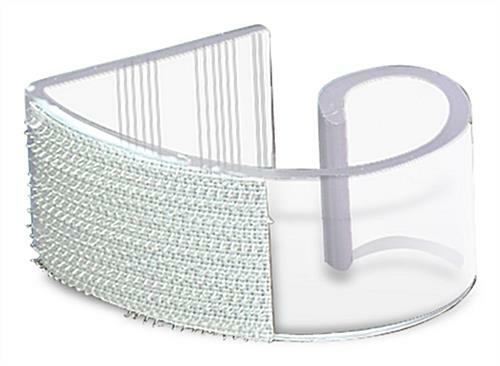 We include the table skirt and clips with a hook and loop attachment, which permits fast and easy installation. Hotels, churches, schools, convention centers, reception halls, and meeting rooms are excellent applications. Sold at an inexpensive price, this table skirt offers an affordable alternative to shelling out high rental fees!